Warm winter salads are great with any dish, or as simple meal. In the colder months I crave fresh vegetable salads so I make a lot of warm salads with only very lightly cooked vegetables. The colour and slight crunch of the salads remind me of summer and the vitamins and minerals help to keep me well. 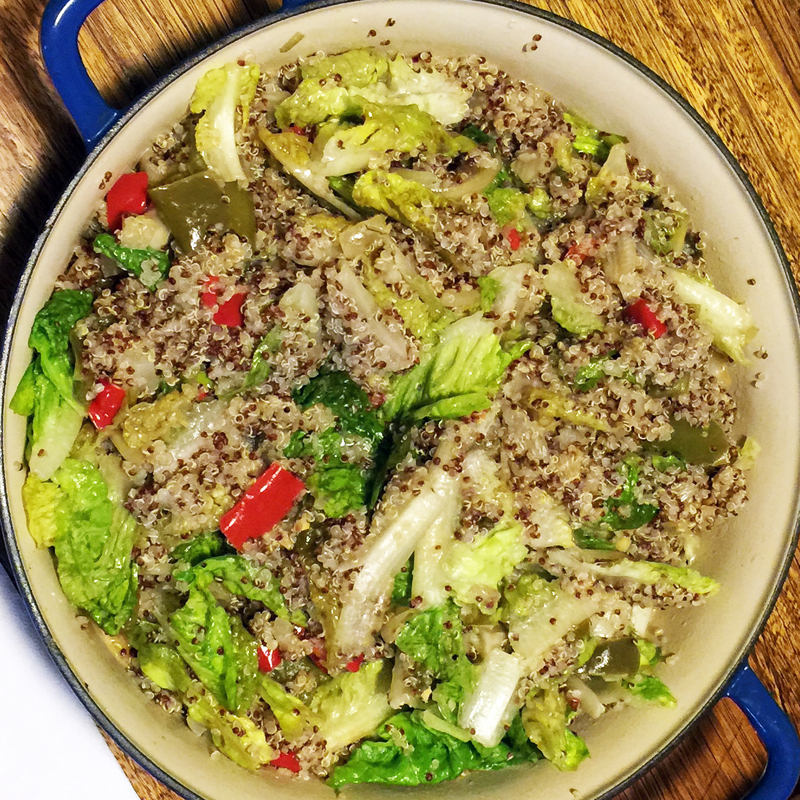 Here are a few of my favourite winter salads. 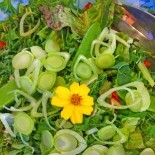 All the recipes for these salads and the dressings can be found in the Recipe section of this blog. Carrots on the side: Steam Carrots until lightly cooked, place in a bowl, add dressing and stir through. Top with roughly chopped spring onion tops, parsley, celeriac and sprigs of watercress. 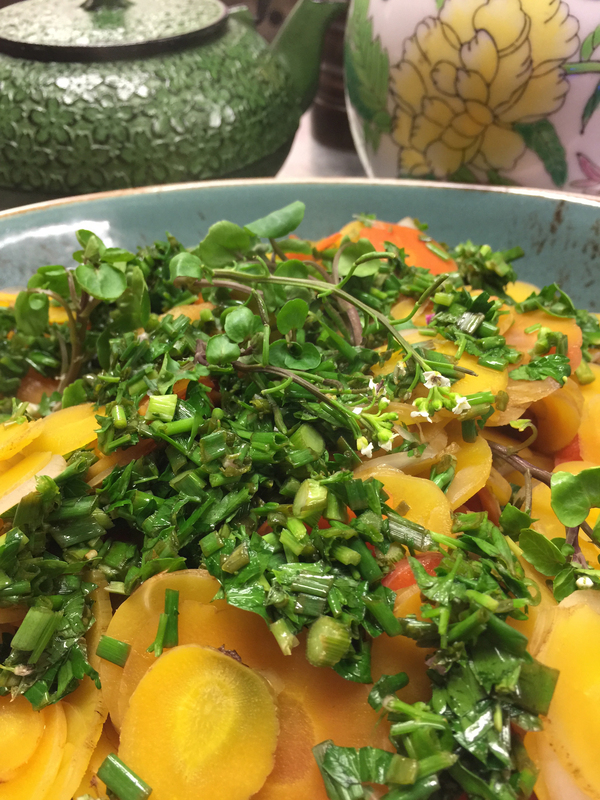 Chop a few spring onion tops, parsley, red and green capsicum. Lightly fry until wilted and soft, add Quinoa and stir through, then add chicken or vegetable stock, bring to the boil, simmer until cooked. Add one small torn coz lettuce and stir until the lettuce is just warmed through. Top with dressing and freshly grated parmesan cheese. 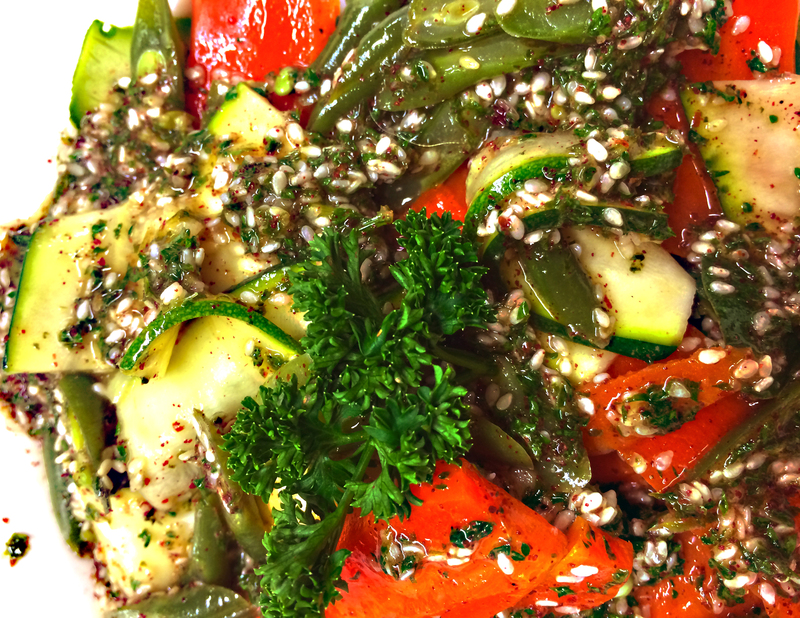 Mandolin Vegetable Salad with Sumac and Sesame seeds. I used the last of my zucchini and capsicums of the season in this tasting offering. 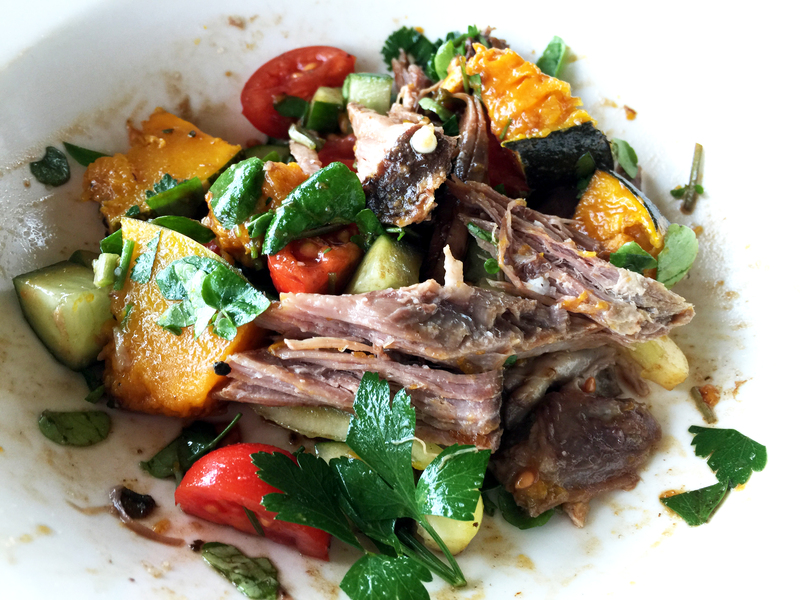 Left-Overs Salad, with yesterdays roast lamb and pumpkin. 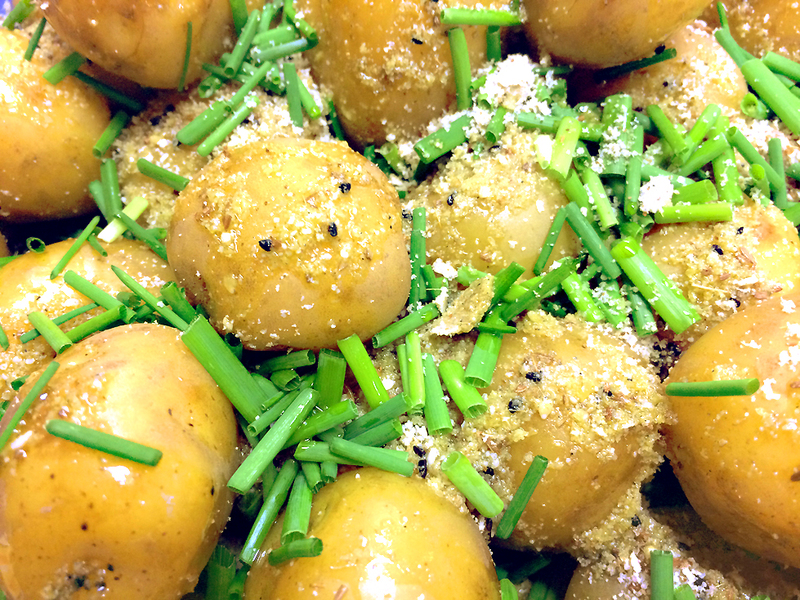 Have fun and be creative, this new potato salad has a beautiful light dressing and is topped with sea salt, cracked black pepper corns, freshly grated parmesan cheese and chopped fresh chives. This entry was posted on August 10, 2015 by Mhrylyn Hanson-Wallis van Dooren in Cooking, Diabetic Diet,, Fodmap, Fodmap Diet, Fodmap Friendly, Food, gluten intolerance, lactose intolerance, Low Fodmap, Low Fodmap Cooking, Low Fodmap Diet, Low Fodmap Recipes, Recipes, Super Foods, Vegetables, Vegetarian Diet and tagged Bell Peppers, cooking, diabetic diet, food, gluten free diet, lactose free diet, lactose intolerant, low fodmap, low fodmap cooking, low fodmap foods, low fodmap recipes, low-fodmap-diet, recipes, Vegetable Salad, vegetable salads, warm salads, Warm winter salads.